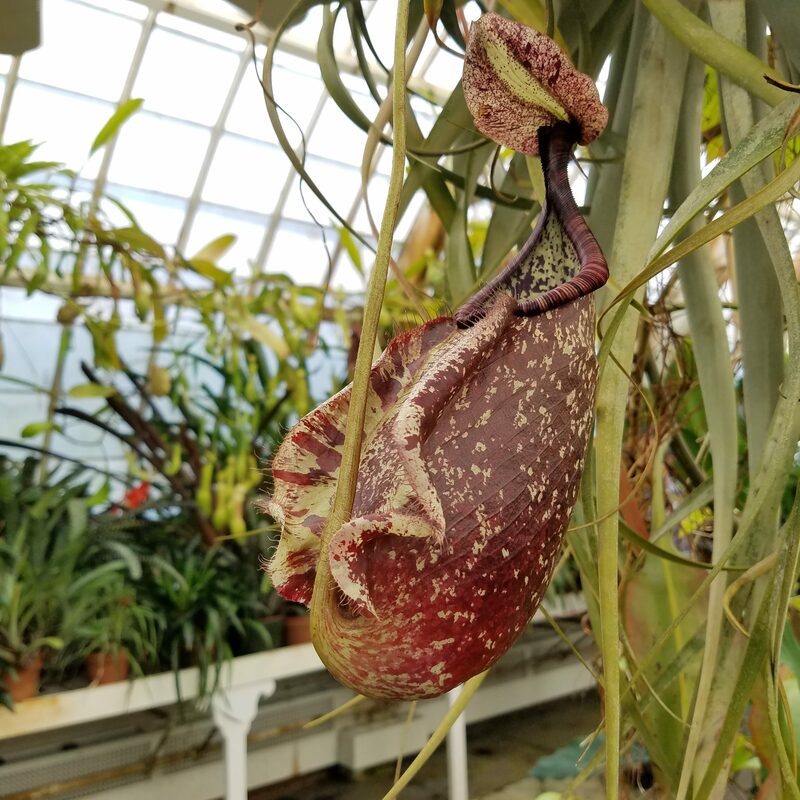 Nepenthes rafflesiana is a carnivorous tropical pitcher plant native to Malaysia, Sumatra, and Borneo. 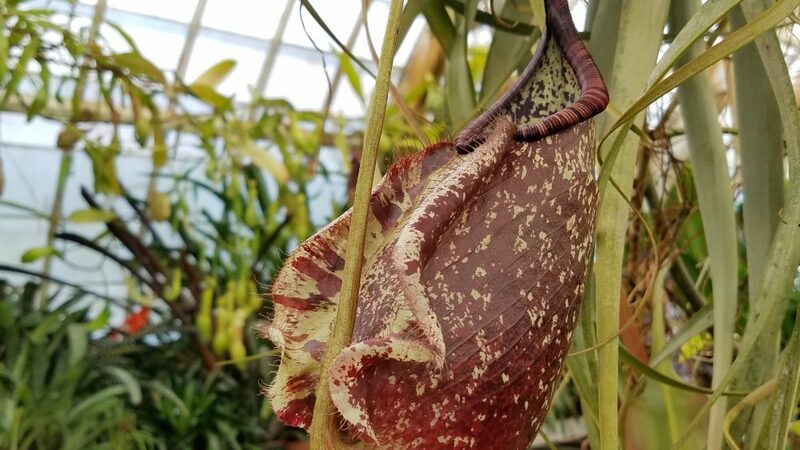 The pitchers of Nepenthes are modified leaves that attract, trap, and digest organism for nutrients. Nepenthes rafflesiana is highly variable in pitcher size and color and includes numerous varieties. Pitchers range in color from green to purple and are often speckled or heavily splotched in reds or purples. Each plant produces two district types of pitchers. The bulky lower pitchers of N. rafflesiana are large, squat, and winged while the upper pitchers can be narrow and funnel-shaped. The species in named after Sir Thomas Stamford Raffles (1781-1826), a British statesman best know for founding Singapore. The genus name Nepenthes was coined by Carl Linnaeus who recalled Homer’s The Odyssey where Helen of Troy threw the drug nepenthe into wine to alleviate soldier’s sorrow.